A few months ago I decided to explore a new project: candle making. I love candles and burn them all the time. My favorites are from Bath & Body Works –Peach Bellini and Coconut Lime Verbena. They are my all time favorite scents! When I decided to make my own candles there was a lot of trial and error. I poured my wax wrong and ended up with big air bubbles along the side of the container. I experimented with scents that should never be combined. I selected colors that well… frankly no one would want to ever display in their home! Crazy pink candle aside, somewhere along the way I got really good at making candles. 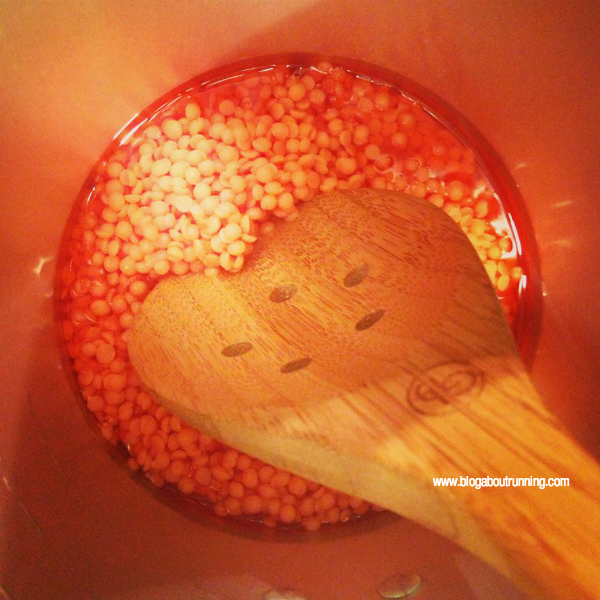 I learned which varieties of soy wax work best for me. I came up with scent mixtures that are ah-mazing. I mean, I know I’m really biased but I currently have five scents that I think are the best smelling candles ever! Yes, literally ever! I’ve purchased interesting tools that I never thought I’d use before and I’ve even made my own candle making tools based out of need. 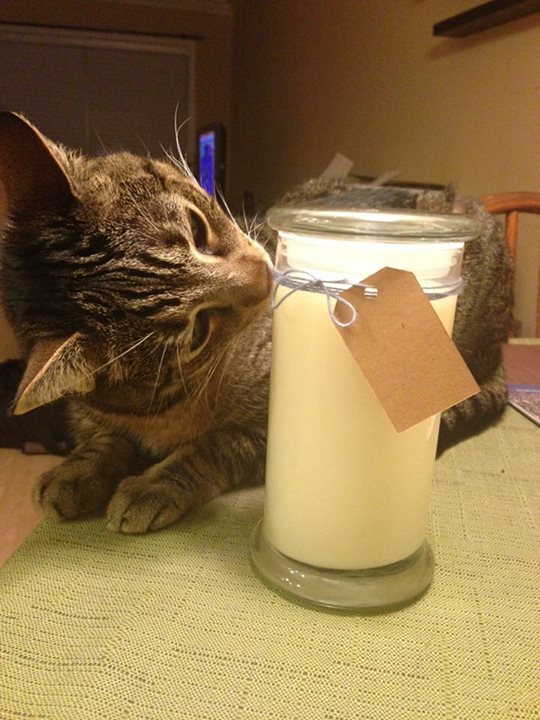 One of my favorite things to do is make people guess which scent the candle is! It’s a great way for me to get feedback on whether the candle smells like it’s supposed to or not. 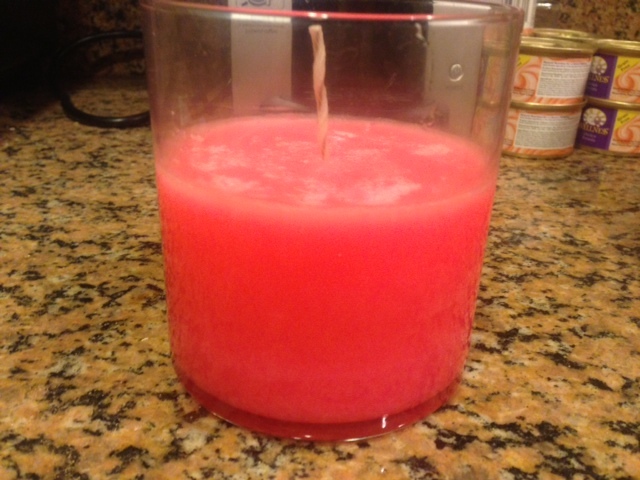 I’ve pretty much fallen in love with candle making. The last couple of months there have been two things on my agenda when the weekend rolls around: running + candle making. What do you love to do aside from running? Next Post Somedays I feel like an inadequate runner but somedays I feel like a Champ! What a great hobby. I knit. What a cool hobby to take up! I remember learning to dip candles as a kid when we’d go on field trips to Amish country and stuff. Besides running, I love to read and write. Hence the blog!